These made us busy the past weeks, aside from my KL trip. We receive many orders before my trip that I need to stop accepting orders until I came back. 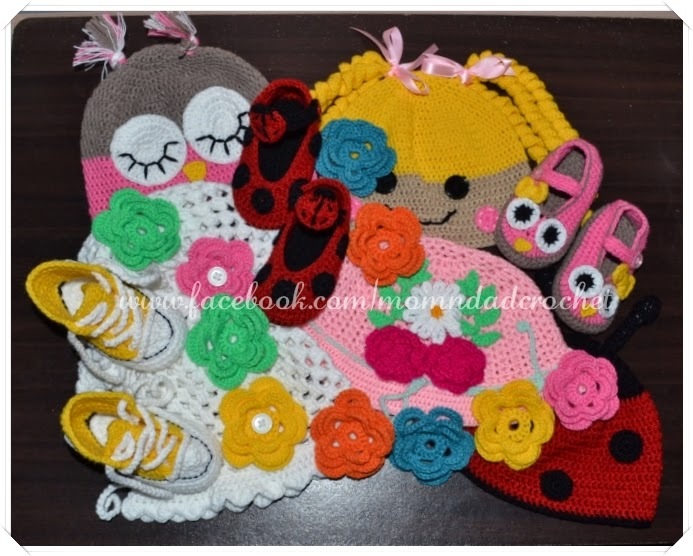 As usual, I made the boots and booties, chucks and sandals, and headbands with flowers. 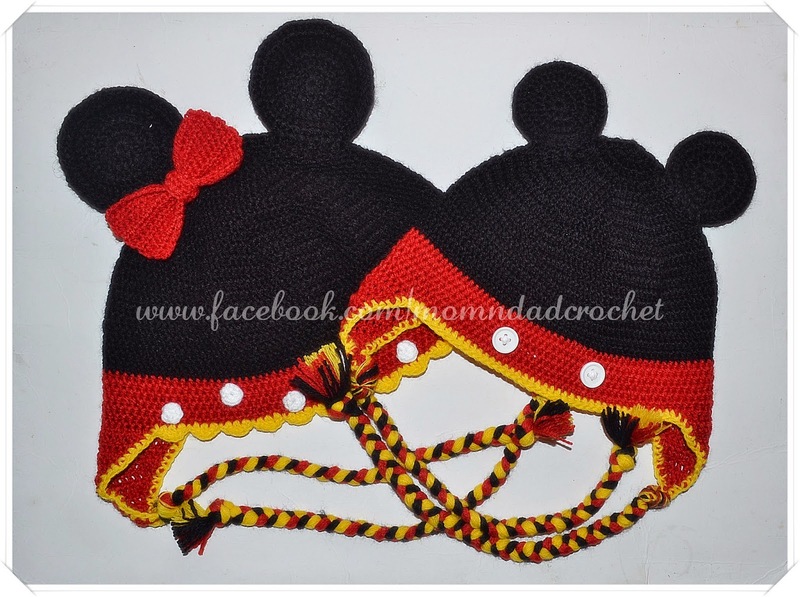 While Daddy A, made the hats. I hope one day I can hire one who will help us crochet so I don't need to turn down orders. 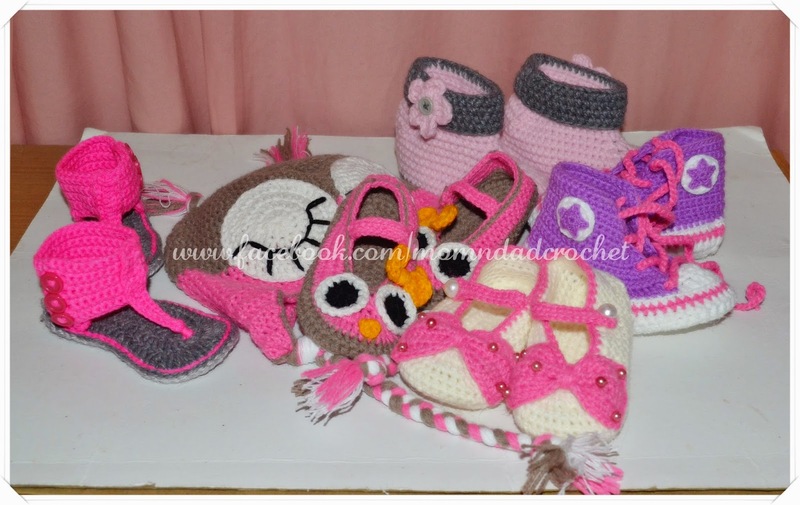 Because as much as possible, I don't want to break a mommy's heart :) But soon we will have a little helper, as Matt is showing interest in crocheting. And speaking of our little boy, lately, he loves taking videos of him singing. I uploaded some of his videos in Facebook. He sings nursery rhymes with action and even love songs, which his teacher wonders if he's already been broken hearted. Haha! I just hope we have an apogee duet so we can easily record his voice in our tablet or phone just like professionals do. We encourage him to sing because I can see he loves it and who knows he may be a good singer one day. Anyway, for now I will have to content my self taking videos of him. Time flies and there maybe a time he will be too shy for this, right? All the best to your business! I am also hoping that you will be able to cater to more and make this really big. Your creations are all so beautiful!